Someone who identifies as bigender will exhibit behavior, characteristics and mannerisms of both females to males. 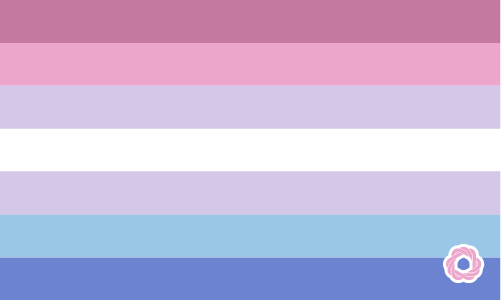 Depending on the situation and context, a bigender person could express themselves with a distinctly female or male persona. Where someone who is androgynous will more or less exhibit the behavior based on their gender across all situations and context, a bigender individual will change their behavior and characteristics for the context. The concept of bigender began within the transgender community. Trisha began to identify as bigender because she believed that she belonged to both genders, and didn’t want to pick between them.